Planning to visit the city? While running photography tours and workshops in New York, I often get asked all different types of questions about visiting, so I thought I would collect them all in one place. These are the things I would do if I were visiting the city for the first time. There is so much to do and see here that I can not possibly cover everything and you cannot possibly see everything, but this is what I love to do and where I like to go. Bushwick Graffiti: This is not your typical graffiti. Take the L-train to the Morgan Avenue stop and walk in any direction to explore some of the best works that graffiti artists have to offer. The entire area feels like one huge gallery with surprises around every corner. Here is a walking tour map of the area and here is a link to get an idea of what the neighborhood looks like. Eat at Roberta’s while you are there. Eat Dumplings in Columbus Park, Chinatown: No matter when you go, there are almost always hundreds of Chinese men and women gambling and playing Chinese poker and Chinese chess. It’s an amazing sight. Take out some delicious dumplings across the street at Tasty Dumplings and sit in the sun and listen to Chinese bands and singers. Dim Sum in Chinatown: Go for brunch dim sum in Chinatown before exploring the area. Sit around a large table as waiters bring around a huge selection of small plates for you to pick and choose from. It is a great way to try a lot of different types of Chinese foods. Show up early (before noon) and be prepared to sit with strangers in a few of the places. Be adventurous! My favorite is Jing Fong, but here is a list of many more. Coney Island: No summer trip to New York is complete without a trip to Coney Island. Bring your camera to people watch along the boardwalk (in a small bag should you decide to go on rides), ride roller-coasters and go-carts, eat a Nathan’s hotdog, and eat at Totonno’s, by far one of the best pizza places in the city. Take the D, Q, N or F train to Stillwell Avenue. This takes from 45-60 minutes from midtown. Stay into the evening. Lower East Side Tenement Museum and Tours: In my opinion, the Lower East Side is historically the most interesting neighborhood of Manhattan. Visit the Museum, which is in an old tenement made to look like it once did and then take a walking tour around the neighborhood. Visit the gift store and bookshop, which has one of the best collections of NYC books in the city. For walking tours, you will need to sign up in advance. Grab a bialy and cream cheese with lox from Russ & Daughters for breakfast, visit the museum, and then grab a pastrami on rye from Katz’s Delicatessen for lunch. Brooklyn Flea: A great way to shop for almost anything you can imagine, while simultaneously eating some of the best food that Brooklyn has to offer. Walk The Manhattan Bridge (South Side): Forget the Brooklyn Bridge, the Manhattan Bridge has some of the best views of the city. See Graffiti’d buildings and streetscapes of Chinatown from above and walk to the center of the bridge for gorgeous view of the Brooklyn Bridge. Be aware that because subways pass over the bridge, it becomes extremely loud, especially during rush hour. And watch out for the bike messengers! Strand Bookstore: I consider this book store to be a museum. I particularly recommend it if you are a photography enthusiast. The Strand has the best and largest photo book collection I have ever seen. You can easily sit here for hours looking at the photographic works of both old and contemporary photographers. Sleep No More: Put on a mask and explore an old hotel, filled with characters. I will say no more. A very unique alternative to seeing a Broadway play. International Film Center / Film Forum / Angelika Film Center: If you are into old or independent movies, these theaters are for you. If you’re lucky they’ll be playing an old Woody Allen film. Late Show / Daily Show / Colbert Report: There is nothing like seeing a Late Show live. Citi Field: Everyone visits Yankee Stadium, but the real action is at Citi Field. Citi Field is a beautiful new ballpark with incredible and diverse food choices. True baseball is when you go to watch a losing baseball team on a Tuesday night. This is when you will be surrounded by true New Yorkers and baseball fans. Rockaway Beach: A great alternative to Coney Island. Rockaway beach has great food, shops, and characters to watch along the boardwalk. Go to Coney Island for the rides and Rockaway beach to layout. Shopping, Food and Drinks in East Village: Shop along the shopping alley of 11th street, with incredible independent designers and thrift shops, and weave your way down to 7th street searching the small stores. Stop for drinks in one of the hundreds of bars that cater to every type of person imaginable. Then eat in one of the hundreds of incredible restaurants, that cater to every type of person imaginable. New York Photo Tour and Street Photography Workshop: A little self-promotion here. See my favorite locations to capture the city and its inhabitants, while learning more about the history and the happenings around New York. All tours are private for you and your traveling group and all skill levels and equipment are welcome, including cellphone cameras. Central Park – Take a Row Boat Ride: Everyone visits Central Park, but not many take a Rowboat ride on the Lake. This is my favorite thing to do in the entire city. Grab a drink at the boathouse, bring a few sandwiches to eat on the boat, and go under Bow Bridge to explore the huge Lake for an hour. The Lake has many hidden alcoves to enjoy your sandwiches. Try to see how many people you can find who are getting engaged. New York Public Library: The most gorgeous building in the entire city. Explore the interior, book rooms, exhibits, and hallways. Visit the New York Public Library, Bryant Park, Grand Central, and the Chrysler Building lobby in one afternoon. They are all within two blocks of each other. Top of the Rock: Top of the Rock has the best aerial views of the city, particularly at night. I prefer this over the Empire State building, because you can photograph the Empire State Building in your cityscape image from the Top of the Rock. Chrysler Building Lobby: Many people go to see the Chrysler Building, but not many go into the interior. The lobby is the finest lobby in the city, with murals, Moroccan marble, and Art Deco details all over the place. Walk the Brooklyn Bridge, at Night: I prefer the Manhattan Bridge’s views to the Brooklyn Bridge, but not at night. Evening is the time to walk across the Bridge. Take the train to Brooklyn, visit Brooklyn Bridge Park to take a carousel ride and to photograph the Manhattan skyline, and then walk back across the Brooklyn Bridge into Manhattan as dusk arrives. Night Drink in Bryant Park: Sit outside at the Bryant Park Cafe and have a nightcap as you people watch and view the glittering skyscrapers at night. Grab a spot on the lawn on summer Mondays to watch old movies on a huge screen. Opera / Ballet / The Nutcracker at Lincoln Center: Dress your best and enjoy a night out at one of the most incredible venues in the city. At Christmastime, there is nothing better to do than to see The Nutcracker. Harlem and the Apollo: Explore Harlem and its many sites and churches. Among my favorite sites are the Hamilton Grange National Memorial, The Morris-Jumel Mansion, The Apollo Theatre, Striver’s Row, and the churches and markets along 116th street. Eat at the Red Rooster. Ellis Island: Take a ferry to see the history of immigrant New York. If you can only do one, I prefer Ellis Island to the Statue of Liberty since you can see the Statue of Liberty up close from the Ellis Island ferry. Madison Square Garden: If you are a sports fan, there is nothing like the atmosphere of a sports game at the Garden. Cheer with the best fans in the world at a Knicks or Rangers game. Since the renovation, they have added many fantastic food choices, but nothing is better than my old childhood standby of chicken fingers and honey mustard sauce. High Line: The High Line is an incredible idea and work of engineering, but it has quickly turned into the number one destination for tourists. I don’t want to tell you to completely avoid it, but the biggest problem for anything in New York is that once something gets too popular, it quickly becomes overrun with people. If you go on weekends or during peak times, what was meant to be a relaxing stroll through a fascinating urban park environment has transformed into a crowd of people bumping into each other, to the point where it’s even tough to view elements of the beauty of the High Line. Avoid weekends and go early to see it how it was meant to be. Meatpacking District and Chelsea Market: The Meatpacking District has turned from an interesting neighborhood into a trendy area with high end shopping that has lost its soul. There are many neighborhoods to visit before you visit the Meatpacking district. Similarly, Chelsea Market is in a gorgeous building and has an array of incredible food shops, but there are still so many more interesting areas to spend your valuable time. Little Italy: Unless you are coming for San Gennaro, Little Italy is quickly losing its soul. Little Italy is now confined to a three block stretch, and while there are still some good Italian restaurants, many of them have become tourist traps. Instead, to get your Italian fix, visit John’s of 12th Street, one of the most authentic Italian restaurants in the city, and spend your time in another neighborhood. 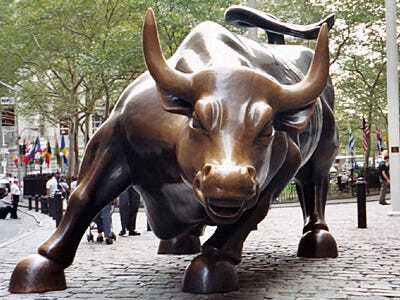 Wall Street and Bull: You’ve seen the Bull in so many pictures. It is the same as the pictures. There is also the Federal Hall, Museum of American Finance, and a picture of the exterior of the Stock Exchange, but the reality is that Wall Street is just office buildings and a bunch of people in suits going to work. If you have lots of time in New York then visiting Wall Street is one thing, but for short trips it’s best to spend your time elsewhere. South Street Seaport: While they are currently renovating it, this is a tourist trap. Statue of Liberty: If you visit the Statue of Liberty, make sure they are open to go up into the statue. More often, they are not. Instead, visit the fascinating Ellis Island, and you will be able to get closeup views of the Statue of Liberty from the ferry. Empire State Building: Most people do not have time to visit both Top of the Rock and the Empire State Building. I am not trying to discourage you from visiting, but if you only have time for one, visit Top of the Rock. Italian: John’s of 12th: One of the most authentic restaurants in the city, with dishes that go back to 1908. Read about its history here in part 1 and part 2. This place has the best service and wait staff in the city and pretty much the only updated thing about the restaurant is an added vegan menu. Oh yeah, and the chicken parm rocks. Pizza: Totonno’s, Roberta’s, Lombardi’s, Di Fara, Sal and Carmine’s: It’s tough to tell you about the best pizza in New York, as there are so many incredible options. The only thing that you must do is to visit a whole in the wall pizza by the joint slice anywhere but midtown (the ones that charge around $2.50 for a slice and not $1.00). Get a plain slice. Jewish: Katz’s Delicatessen and Russ & Daughters: Two of the most authentic Lower East Side restaurants are a block from each other. If you like pastrami on rye, visit Katz’s and if you like smoked fish or Lox and Cream Cheese on a bialy (better than a bagel), visit Russ’. Or better yet, visit both! Greek: Taverna Kyclades: The Astoria neighborhood of queens has the best Greek restaurants in the city with the freshest fish, and the best restaurant is Taverna Kyclades. Lucky for us Manhattanites, they just opened an outpost on 1st Avenue and 14th Street. Chinatown: Dumplings, Dim Sum, or Peking Duck): Go for brunch dim sum in Chinatown before exploring the area. Sit around a large table as waiters bring around a huge selection of small plates for you to pick and choose from. It is a great way to try a lot of different types of Chinese foods. Show up early (before noon) and be prepared to sit with strangers in a few of the places. Be adventurous! My favorite is Jing Fong but here is a list of many more. Try the Peking Duck later in the day at either Golden Unicorn or the fancier (but not necessarily better) Peking Duck House. And grab soup dumplings at Shanghai Asian Manor, which is one of the best Chinatown restaurants to have either lunch or dinner. Indian: Brick Lane: If you like Indian food, the Indian block on 6th street in Manhattan is the place to go. While there are many fantastic options, Brick Lane Curry House is a great one. Steakhouse: Keens: Keens has been an old standby steakhouse in New York since 1885. From the food to the decor, this place is an experience. Keens is a top place to eat if you are visiting New York, but even more-so if you are in midtown. Soul Food: Red Rooster: Harlem has a lot of amazing restaurants, but Marcus Samuelsson’s Red Rooster is one of the best. BBQ: Hill Country: You can’t go wrong with Hill Country, one of the best BBQ restaurants in the city, in the convenient location of 26th street off of 6th Avenue. Just please don’t go to Dallas BBQ while you’re here. Bars: McSorley’s Death and Co, and Rudy’s Bar and Grill: There are so many interesting bars in New York, but these are three of my favorites. McSorley’s is one of the oldest and most interesting bar’s in New York. They only serve two beers on tap, their light and dark beers. Death and Co. is a very unique intimate bar with a high-end speakeasy feel and incredible cocktails. This is a fancier spot that often has a wait, but they will take your number so you can go to a bar down the street while you wait. Rudy’s in Hell’s Kitchen is probably my favorite dive bar in the city. It’s a true dive. This is a great place to go if you’re nearby in Times Square and especially on a nice day where you can enjoy the outdoor patio. MOMA: Some of the most interesting art in the city. The 5th floor is my favorite, with works from Picasso (Les Demoiselles d’Avignon), Monet (Water Lilies), Van Gogh (Starry Night), Dali, and Matisse (Dance). The MOMA is also home to the best photography permanent collection that I have ever seen. If you are a photographer, this is a must. MET: My second favorite Museum in New York. The Met has such a diverse range of art throughout history that complements the MOMA’s modern art collection. This is a great place to visit in combination with a visit to Central Park. Go on the roof for an overview of the park. International Center for Photography: This is a great and smaller photography museum, with shows from top photographers. This is a must if you are a photography enthusiast. They also have a great photography bookstore. City Reliquary Museum: The Reliquary is itself an artifact of New York. Small but packed with incredible historical city objects. If you are interested in off the beaten path places, this is one to see. Guggenheim: A great museum that is as much visited for the iconic Frank Lloyd Wright building as for the art inside. Photography Galleries: There are so many photography galleries around New York, including Leica Gallery SoHo, Howard Greenberg Gallery, Steven Kasher Gallery, Yancey Richardson Gallery, Robert Mann Gallery, Pace/MacGill Gallery, Yossi Milo Gallery, and the Danziger Gallery. Click here to read more about them. Museums Good for Kids: Natural History Museum, and the Intrepid, Sea, Air & Space Museum: You can’t go wrong with either the Natural History Museum and its Whale Room, nor my favorite, the recently renovated Intrepid aircraft carrier.